Thomas was born on 9 February 1892, in Carrickedmond, Longford. His grandparents were James and Ellen Lennon of Torboy. He emigrated to the US in September 1910 with his brother Patrick; Thomas later petitioned to become a naturalised citizen. Prior to the war he worked as a carpenter, and specifically a japanner who applied hard, black lacquer-finishes on wood, a technique originally devised in Japan. He was notably tall for the era, standing at 5' 11" (about 180cm). He also worked as a bartender, and it was this career that was noted on his WW1 draft card. 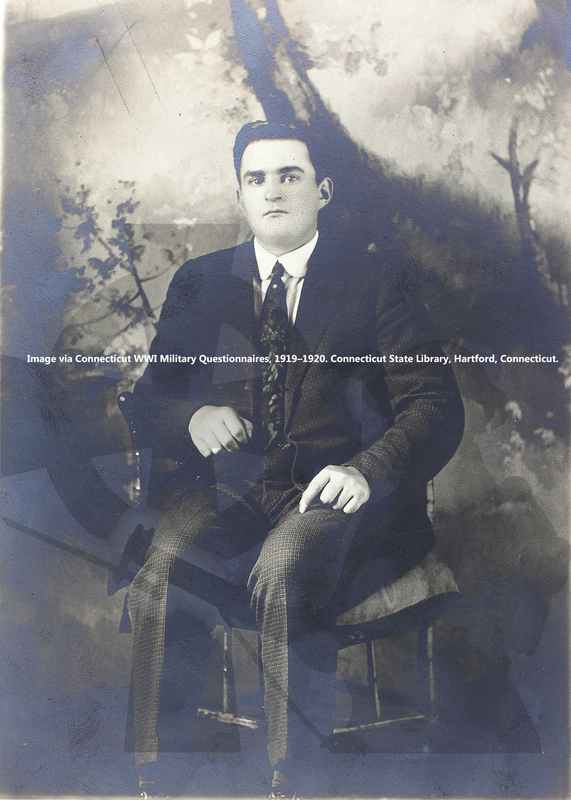 Pte Cassels enlisted in the US Army on 4 October 1917, and entered into the war about March 1918. He served at Luneville, Baccarat, Champagne, Hill 212 and Ourq, but died of wounds received. 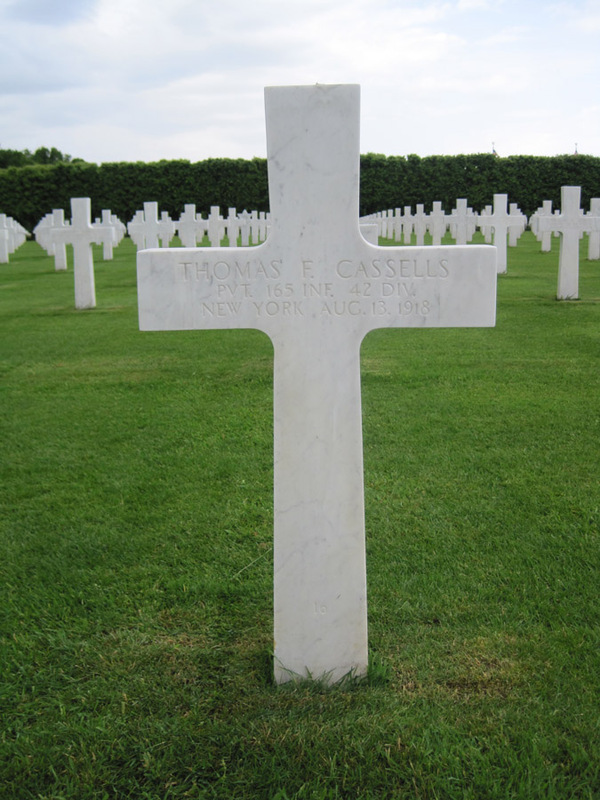 Thomas's brother Patrick also served with the US Army in WW1, but the brothers died two months apart in France. Son of Thomas Cassells and Catherine (née Lennon) of Torboy and Box 14, Farmington, Hartford, Connecticut.